St Albans Morris are a friendly, mixed side who have been dancing the Cotswold tradition around Hertfordshire and beyond since 1930. 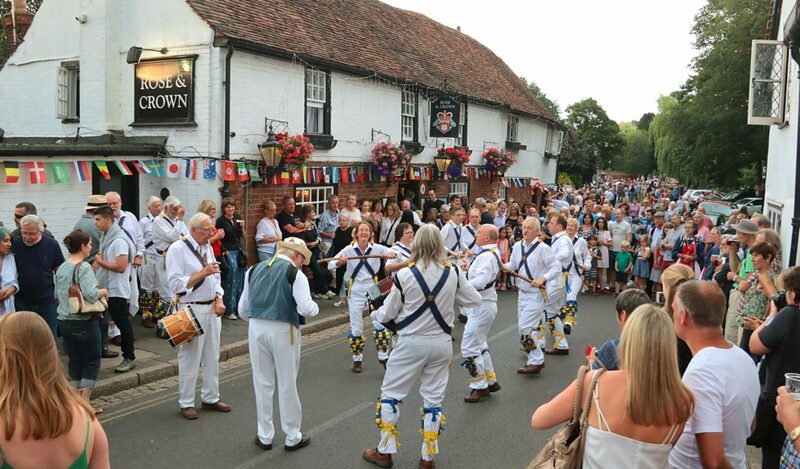 Find us throughout the summer, dancing out at pubs, fairs and festivals, or join us in the winter as we welcome new dancers and polish and extend our repertoire. If you want to book us for your event, we can provide the entertainment you are looking for. Our sets can be performed in intimate and large venues and we are more than happy to encourage audiences to join in by teaching them a few of our easier dances. Use the links at the top of the page to get in touch.